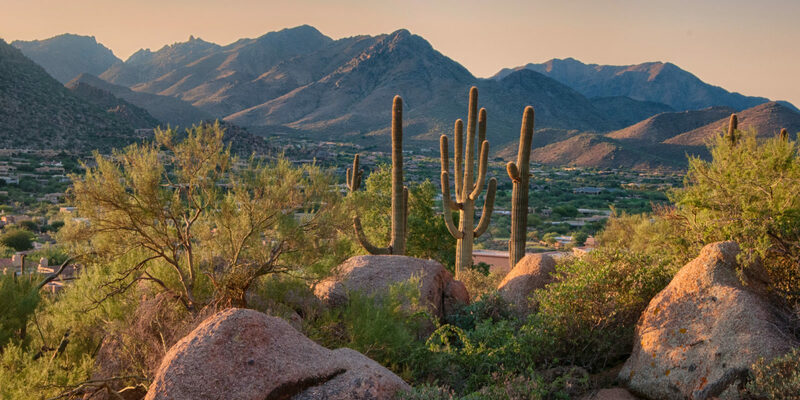 The Sonoran Desert is a stunning setting for exploring the great outdoors and the flora and fauna that call it home. Here are four can’t-miss activities that will immerse you in the unique natural beauty and wildlife of the Phoenix area. 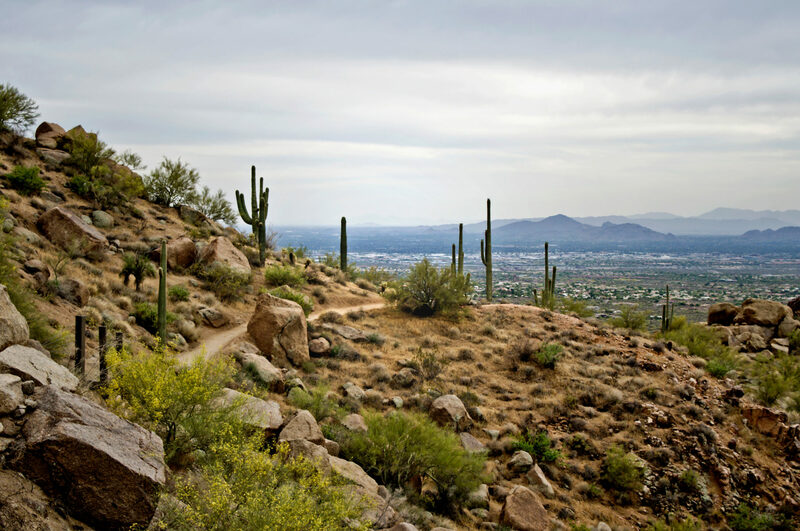 Hike the Pinnacle Peak Trail. Work up a sweat hiking the Pinnacle Peak Trail. It’s less than four miles long and an easy climb: the trade-off is a scenic overlook of nearly the entire Scottsdale valley. Along the way, you may encounter Gambel’s quail, horned lizards and cactus wren, nesting among the imposing spines of giant saguaros. Dawn and dusk are not only the most comfortable times of day to avoid the heat, they’re also when animals such as coyotes and mule deer are most active and likely to be seen. Stroll the Desert Botanical Garden. Enjoy the chance to connect with nature at the Desert Botanical Garden. The five trails are short — the Desert Discovery loop stretches less than a third of a mile — but the impact is great. Fifty-two rare southwestern species are looked after here, including the needle-spined pineapple cactus, desert sunflower and the tall Indian paintbrush plant with bright red blooms. Two acres of wildflowers color the landscape year-round, with a peak in early spring. Between the quiet setting punctuated by birdcalls and the delicate smells of sagebrush, it’s a great way to reset the senses. In spring, don’t miss the weekly Music in the Garden Concert Series, with live music ranging from jazz to blues to Latin. Enjoy close encounters at Liberty Wildlife. When you visit this non-profit rescue and rehabilitation center, you can meet and learn the stories of the sick, injured and orphaned wildlife that call it home. 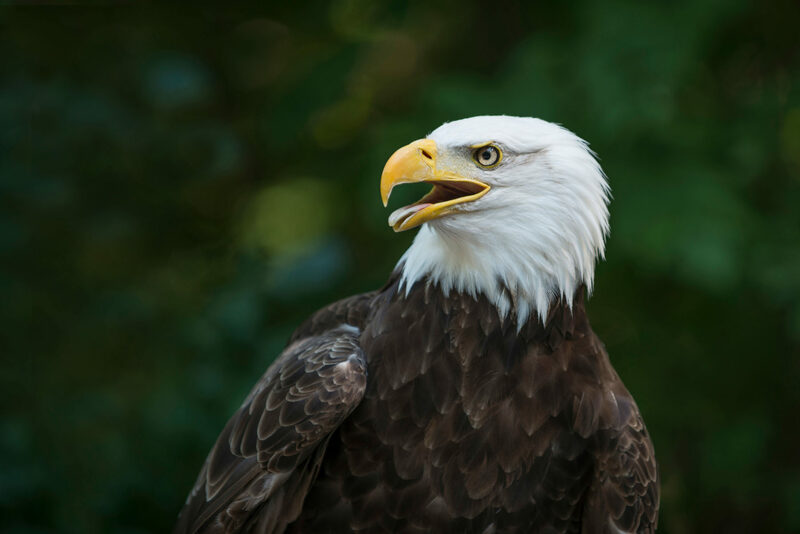 Tour the wildlife hospital, enjoy an interactive reptile experience or watch a bird of prey presentation and eagle feeding. You can also walk along the education trail, where you’ll see non-releasable birds of prey such as native hawks, owls and bald and golden eagles. The sanctuary is open to the public on Wednesday, Saturday and Sunday from 10 a.m. – 1 p.m.
Day trip to Boyce Thompson Arboretum. 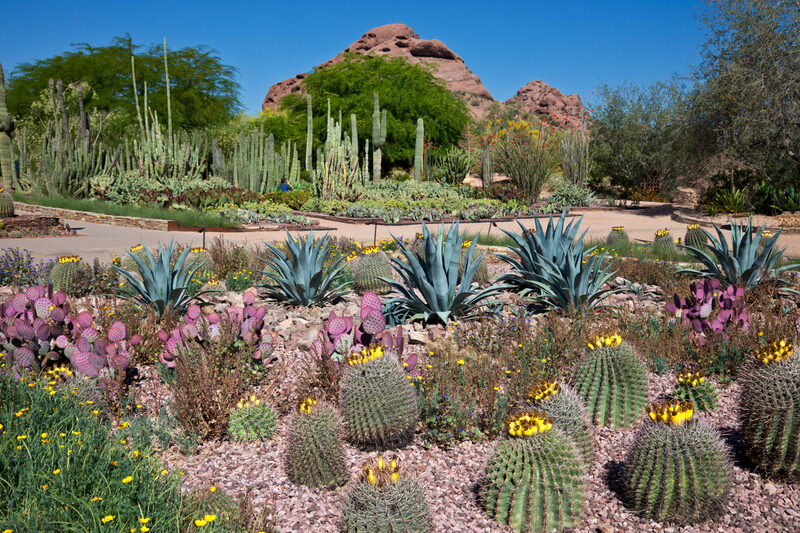 A little more than an hour’s drive east of Phoenix, you’ll find Arizona’s oldest and largest botanical garden. It’s easy to spend an entire day exploring this 392-acre state park, which features three miles of trails and paths through a three-acre cactus garden, herb garden, eucalyptus forest, Heritage Rose Garden, hummingbird and butterfly garden, and more. 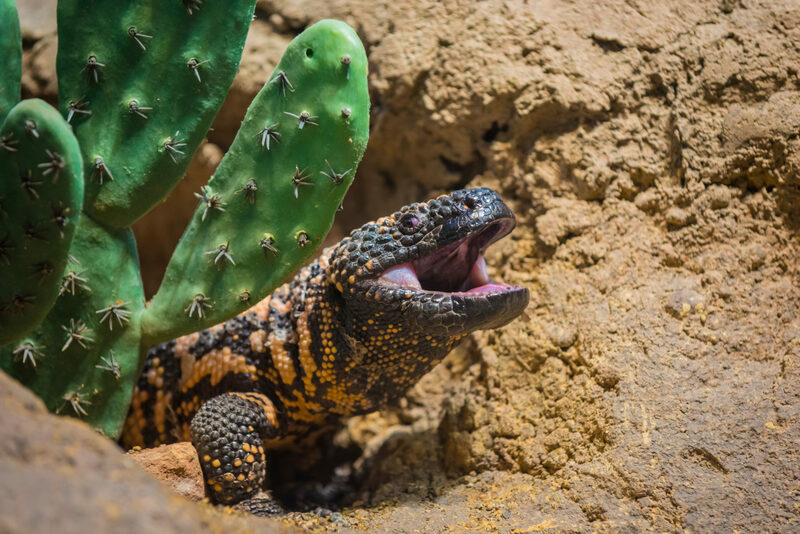 The park is home to more than 300 species of mammals, birds, reptiles and amphibians — including gila monsters, bobcats and javelinas. Go early in the morning for your best chance of spotting wildlife. The arboretum is also a favorite spot for wildflower viewing in the spring.